The kids are going back to school, the mornings have got a bit chillier, and we’re no longer hanging on for a barbeque summer. Autumn is here and it’s the ideal time for a getaway. Holiday cottages are ideal for an autumn break in the UK, offering you freedom, flexibility and a great choice of locations and activities connected with them. Here are our suggestions for things to do in the UK in autumn, whether it’s a short break or something more substantial. The Lake District looks glorious this time of year, with forests and woodland turning multiple shades of gold, orange and brown. At Brockhole, the landscaped garden takes on a whole different quality with their many autumn colours. The garden is designed as a series of south and west facing terraces, sloping down towards Lake Windermere. Much of the garden’s look and content still retains the original designs of its founder, Thomas Mawson. The romantic poet, William Wordsworth is closely associated with the Lake District and you can visit both his Georgian Townhouse in Cockermouth, Cumbria, and his rural home, Dove Cottage, in Grasmere. Grizedale Forest is a treasure trove of autumnal beauty in the Lakes. Between Windermere and Coniston, at Hawkshead, the forest has larch, elder, beech and oak trees in abundance, with the addition of woodland sculptures by notable artists such as David Nash and Andy Goldsworthy. If the weather turns colder, there are many superb pubs to choose from in the Lake District, where you can warm yourself up while tasting some fine food and drink. The Masons Arms at Cartmel Fell has a traditional, low-beamed downstairs and a more spacious restaurant upstairs, serving excellent local produce. You’ll also find exquisite meals at the Drunken Duck in Ambelside. In the same area, the Golden Rule is also warm and welcoming, and less likely to draw the crowds. Dating from 1689, the Mortal Man, is in an idyllic setting, in the tiny village of Troutbeck in the beautiful Troutbeck Valley. If it’s mild enough, you can sit in its lovely beer garden and admire the scenic vistas, stretching as far as Windermere itself. If you visit the Heart of England area in autumn, then you should take some time to explore the Westonbirt National Arboretum in Gloucestershire. This was created in the mid-19th century, to feed the Victorian appetite for exotic botanics. Here, you’ll find around 2,500 different species of tree, and in autumn you’ll see in all their golden, fiery glory. The maple trees are especially glorious in autumn. If you time your visit for October, you can see them at their very best. There’s plenty of space for you to explore here, covering some 600 acres, divided between the three areas of the arboretum, Silk Wood – an ancient woodland – and the grassland of the Downs, which is grade I listed. In Yorkshire, you’ll find Fountains Abbey and Hackfall Wood close together, while offering contrasting views of England in the autumn. Surrounding the abbey, the Studely Royal Water Garden is a masterpiece of landscape art, from its sculpted vistas to its follies and garden buildings. Here you can see Japanese maple, birch and swamp cypress in a rusty rush of autumn shades. Hackfall Wood is feels like wilder terrain, though in fact William Aislabie originally landscaped it, presenting a dramatic contrast to the more formal concept his father came up with at Studely. Punctuated by follies and temples, the wood is a joy to explore, especially in autumn, when the sycamore, ash, elm, beech and oak trees lend it a rusty, golden hue. Of course, the ruins of the abbey itself remain stunningly beautiful whatever time of year you visit. Visiting the Lakes doesn’t have to limit you to outdoor activities and adventures on the water. The area has plenty of quaint, historical and attractive towns to visit, along with some notable eating places, including some serving Michelin-standard food. Near Windermere is Holbeck Ghyll, a 19th century country mansion serving up Gallic-styled gourmet food. It has a Michelin Star and is heavily in demand. The imposing oak-panelled dining room looks out over Lake Windermere. Save up for a special treat on your holiday and remember to book well in advance. The Drunken Duck Inn is located high above Ambleside, at a crossroads. It’s traditional rural setting doesn’t however, prepare the visitor for the sheer quality of its food. There’s plenty of traditional British meaty fare and accompanyingreal ales on offer. Queue without booking at lunchtime, or reserve a table in the evening. The more eclectically-minded Jumble Room at Grasmere mixes up styles in both décor and cuisine. There are plenty of Asian-inspired dishes alongside traditional fish and chips and steak. The restaurant is now celebrating its 20th anniversary. Chef Simon Rogan runs L’Enclume in Cartmel. Here he serves up modern British cuisine with an experimental twist on traditional, seasonal ingredients. He also has a nearby bistro, Rogan and Company and gastro pub, The Pig & Whistle – both are highly recommended. A good eatery for those with more of a budget-minded appetite is the Hawkshead Brewery at Stavely. The beer hall here now has a kitchen with a menu originally devised by a former head chef at Le Gavroche. The food is self-styled “beer tapas” and includes smaller plates of meat and fish. This all goes down a treat with a selection of locally brewed ales. Kirkby Lonsdale is one of Cumbria’s smallest market towns, but in this case small really is beautiful. It feels rural and unspoiled but has enough independent, artisan shops and places to eat to attract the discerning visitor. Sitting between the Lake District and the Yorkshire Dales, it’s something of a gateway between the two. Beside Derwentwater, Keswick is a bustling local town that serves as a great base for outdoor activities in the surrounding area, but is also worth a visit on its own merits. The Keswick Museum and Art Gallery has a had a recent facelift and runs intriguing exhibitions alongside collections of archaeological finds, fine art an industrial and social history. There is also the successful Theatre By The Lake, with a programme running throughout the year. Keswick also boast plenty of interesting local shops, restaurants and cafes. Ambleside is useful base for anyone exploring the Lakes, while also providing a wide range of local amenities and activities, including plenty of shops and restaurants. Nearby are the ruins of a Roman fort and the beautiful woodland location of Stagshaw Gardens. Naturally, if you’re visiting the Lake District there are plenty of water activities to enjoy, from sightseeing to watersports. The range is wide, so whatever kind of holiday you’re planning, you’ll find the something to do on the water that will fit right in. One of the best ways of seeing the breathtaking countryside of the Lake District National Park is by boat. There are frequent boat cruises from Windermere, ideal for taking in local landmarks and scenery. Options include round trips between Bowness and Ambleside, circular cruises around the islands of Windermere, and cruises including a walk along the western shore of the lake. You can also try inclusive on-board buffet cruises and trips to specific local attractions by boat, including the Lakeland Motor Museum, the Haverthwaite Steam Railway and the Lakes Aquarium. There are also scenic cruises around Derwentwater, with a choice of boarding and disembarking points along the lakeshore. At Coniston visitors can enjoy a luxurious cruise on a steam yacht gondola, rebuilt to the same specifications as an original Victorian vessel. The cruise travels the full length of Coniston Water and includes a live commentary on board, about the area’s cultural heritage and connections. Whatever your age, ability or interests, there are plenty of watersports to experience in the Lakes. Canoeing and kayaking are popular family activities but also with an appeal for more experienced visitors. Both the Brockhole Visitor Centre and Coniston Boating Centre are excellent locations for booking canoes, kayaks, paddle boards, or even hiring a motor boat. There are number of places offering courses, including starter and taster sessions for those wanting to try watersports out for the first time. If you’re a little more daring, several places in Windermere offer extreme watersports, including waterskiing and wakeboarding. Some of the quieter lakes are ideal places for swimming. These include: Buttermere, Crummock Water, Grasmere and Rydal Water. You can also swim in the busier Coniston Water, Derwentwater, Ullswater and Windermere, but here you’ll be sharing your space with more boats. For those keen on fishing, there is the annual Cumbria Fishing Festival, and some of the larger lakes are recommended for pike and coarse fishing. Fishing on Windermere, Ullswater and Coniston is free. There is also excellent fishing in many of the local rivers. These are controlled by local Angling Associations, from whom you can obtain daily or weekly permits to fish for trout and salmon. The Lake District is an ideal activity holiday destination, with plenty of holiday accommodation offering great access to the water. Always remember to stay safe, keep an eye on the kids, and make sure, if you’re a novice, that you’ve had proper instructions if you’re venturing out onto the water. One of the key activities for Lake District visitors is walking. The Lake District National Park has 3,105 kilometres of rights of way, and the walks you can go on vary from relaxed to more challenging, for whatever suits you. There are numerous walking routes in the Lakes, from fell top Wainwright Walks to accessible for all Miles Without Stiles routes. There are also walks designed with families and children in mind, and guided walks. There are 42 routes designated as easy, across the Lake District National Park. These are routes suitable for families with pushchairs, dog walkers, people with limited ability and the visually impaired. Areas featured in easy routes include: Coniston, Windermere, Broughton, Grasmere, Buttermere and Ravenglass. In his seven volume Pictorial Guide to the Lakeland Fells, Alfred Wainwright mapped out routes to the summits of 214 fells. Whereas Wainwright’s illustrated books are rightly thought of as works of art, the walks he describes are very real. For many visitors, it’s a mark of honour to accomplish as many “Wainwrights” as they can, and there are plenty to choose from for first-time visitors to the area. Wainwright’s guides have all been updated and remain in print. As the UK’s leading destination for walkers, the Lake District has plenty of more challenging walks to offer the more adventurous visitor. Challenging walks include: Scafell Pike, Buttermere to Keswick, the Kentmere Horseshoe, Helvellyn and the Cumbria Way. Some hill walks do involve scrambling up and down boulders and navigating along narrow ridges, so it’s best to be prepared. Some of the technical difficulties for hill walks are classified as mountaineering, which is fine so long as you have the experience and ability. tread and, preferably, ankle support. When it comes to clothing, layers are the best option, both windproof and waterproof. Always carry food and drink with you, particularly energy-giving snacks such as chocolate or dried fruit, and plenty of water of course. Get a compass, and a torch, if you’re going to be walking after dark. Remember that mobile phone reception may not be good where you’re walking. And take a first aid kit, in the event of any accidents. The philosopher Friedrich Nietzsche once wrote, “All truly great thoughts are conceived by walking.” Walking is good for the body and the mind, being both engaging and relaxing at the same time. This makes the Lake District an ideal destination for walkers, regardless of age or ability. If you ever wanted to understand what inspires creativity, you must experience the stunning natural beauty of the Lake District to gain a real insight. The Lake District National Park has been an inspirational location for a number of historically important writers. These include the Lake Poets Wordsworth, Coleridge and Robert Southey, and the much-loved children’s author, Beatrix Potter. Wordsworth’s best-known piece of writing is probably his ‘Daffodils’ poem, which begins, famously, with the words “I wandered lonely as a cloud.” He was inspired by the beauty of the countryside around Ullswater to write this. Although the exact location of the “host, of golden daffodils” isn’t known, the most likely location is between Patterdale and Gowbarrow. This is great fell walking and climbing country. Nearby towns include Glenridding and Pooley Bridge, with plenty of attractive places to eat and drink and holiday cottages. You can also visit places where Wordsworth lived in the Lake District. At Rydal Mount near Ambleside you’ll find Wordsworth’s family home. The house is set in four acres of beautiful gardens and there is also a tearoom serving a selection of homemade cakes. The other famous Wordsworth location in the Lake District is Dove Cottage, in Grasmere. Wordsworth discovered the cottage when out walking with fellow poet Samuel Taylor Coleridge in 1799. He immediately fell in love with it and it was here he wrote some of his most famous poems. If you call in at Dove Cottage it feels like you’ve been instantly transported back to that time. It is a place of quiet, contemplative beauty. Next door to the cottage itself is the Wordsworth Museum, which houses an impressive collection of William and Dorothy Wordsworth’s letters, journals and poems. In Hawkshead you’ll find a 17th century house that’s the home of the Beatrix Potter Gallery. The gallery has on display many of Beatrix Potter’s original drawings and watercolours, including original illustrations of characters in her stories such as Jemima Puddleduck and Benjamin Bunny. Hawkshead itself is a picturesque, charming village with cobbled streets, courtyards and a car-free centre. It has plenty of interesting local shops, restaurants and tearooms, and is a good base from which to explore surrounding areas of natural beauty such as Grizedale Forest and Esthwaite. Beatrix Potter spent many holidays in Brockhole, near Windermere, where her cousin Edith lived. Visitors can follow the Beatrix Potter Trail around Brockhole’s lakeshore and grounds. Like these writers, you too can experience the inspiring landscape and scenery of the Lakes, and discover the vivid, literary legacy they left behind. We started the year with a report that we Brits are creatures of habit with our holiday choices, often returning to a previous destination and holiday cottage when we’ve had one good holiday there before. Last year was the Year of Natural Scotland, and was launched with an advert featuring Shetland ponies wearing onesies! In February we found that 50% of Londoners prefer holidays in the sunshine, with many also stating that their holidays in the UK were some of the happiest they have had. We also gave you a run down of some of our most splendid cottages with pools, which are all still available now and could be great for a summer holiday vibe in winter! Flybe announced flights from Manchester to Scotland in March, making for a quick and relatively cost effective way of taking a short break in Scotland. The Easter holidays were blighted by bad weather sweeping across the country. It didn’t affect Cheshire, though, as I shared my photography adventure in Tatton Park over the Easter weekend. Our friends at Helpful Holidays swept the board at the Which? Travel magazine member survey in April. Meanwhile, in May, Blackpool was named the most popular British seaside resort at the TripAdvisor Choice Awards. In June, research by VisitBritain found that more overseas visitors to the UK prefer visiting open green spaces such as parks and gardens than they do museums and galleries. July started with the news that a change in the law in 2015, which means schools will decide their own term dates, will very likely drive up the prices of holidays year round. There was a rise in visits to UK attractions, helping to bolster domestic tourism. We gave our top tips for festivals and activities over the August Bank Holiday; we also reported on the large number of UK piers under threat of coming under a state of disrepair if funding isn’t found. September was a time for activities such as the Devon Open Studios, Frome Cheese and Agricultural Show, and pickling at Powderham. In October, inbound tourism was on the up, and also Yorkshire was voted one of the top 10 places to visit in the world! In November we recommended the North Devon Clovelly Herring Festival and reviewed the light fantastic Lumiere Festival, Durham. There was good news for Hull, as it was named the next UK City of Culture 2017. Finally, in December, we found that we Brits are flavour of the month with Americans, as tourists from across the Pond have been increasing in number year on year. Christmas was also a great time for UK tourism as the number of overnight stays and short trips increased substantially over the festive period. So, that’s it for 2013! Keep up to date with news and reviews in 2014 by following the blog, or you can like us on Facebook or follow us on Twitter. We have a terrific special offer on this award-winning, 5 star luxury self-catering cottage overlooking Derwentwater in the Lake District. This beautiful house nestled in the Borrowdale Valley is less than a ten minute drive from the charming market town of Keswick. Perfect for group and/or family holidays (comfortably sleeps up to 10 guests across the four bedrooms) Lodore House not only has spacious living with all the amenities you would expect from luxury accommodation, but guests can also order room service from the next door Lodore Falls Hotel. Guests can also enjoy the hotel’s leisure facilities: gym, sauna, indoor and outdoor swimming pool, outdoor tennis court and hot tub with views across Derwentwater and Catbells. This 5 star break can be enjoyed at a rate of 4 nights for the price of 3 at £1200, 7 nights for the price of 5 at £2000 and 3 nights for the price of 2 at £800.00 PLUS a complimentary breakfast starter pack on arrival. 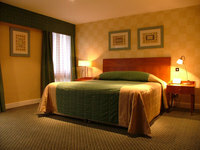 This price is for up to 10 people PLUS 1 free bed change during the stay. We have many more great special offers at HolidayCottages.cc, so if you haven’t booked your summer break yet, then now is the time! Happy new year from all at Holiday Cottages! 2012 was an eventful and special year, with a successful Olympic Games and the Queen’s Diamond Jubilee; it all came up roses for Britain. Before we start on news in 2013, here’s a round up of the main stories we covered on this blog last year. January started positively for holiday cottage owners, as research showed that an increased number of people were planning self-catering holidays. The future of rail travel got a boost as new high speed lines got the go ahead from the government, and quicker and easier searches were made possible by thetrainline.com and Google Maps. However, train companies did not fare very well in a customer satisfaction survey. February started with a cold snap and the government warned that parents could be fined if they were found to be taking their children on holiday during term time. 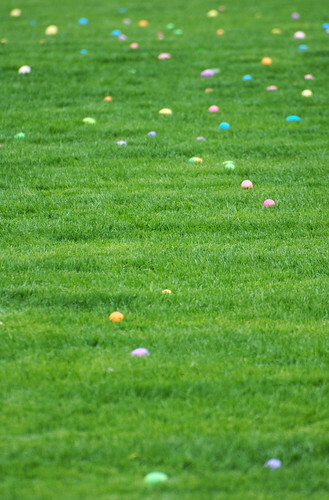 In April we posted about some brilliantholiday properties and also gave you a list of top things to do over Easter, many of which are also applicable at other times of the year! The Olympic torch relay began in May, as a precursor to London 2012. We also ran two great competitions, tickets to Oakwood Theme Park and to Chessington World of Adventures. Much speculation arose regarding the impact the Olympics would have on the UK in June. Brits changed their holiday plans to fit around the Games, no one knew if the Tube would cope with the extra visitors (by and large it did), and British Airways even launched a campaign to get people to stay at home and support Team GB. July saw record rainfall over the space of 24 hours. In August the number of ‘nightcations’ were found to be on the rise, and the Lake District got some Hollywood visitors. Yorkshire was branded ‘not a destination’, by Visit England in September, something which has been proved otherwise after it was named best for holidays at the World Travel Awards the following month, and most recently been made the starting point for the Tour de France 2014. A rise in demand for wi-fi in holiday cottages was revealed by a survey in December, and we gave you a list of some beautiful festive getaways, great for all year, not just for Christmas! So, that was the year on this blog. What will 2013 bring? Bookmark us and find out! You can also keep track of us on our Facebook page. For a rundown of travel news in and outside of the UK, see our sister site blog, Villaseek. 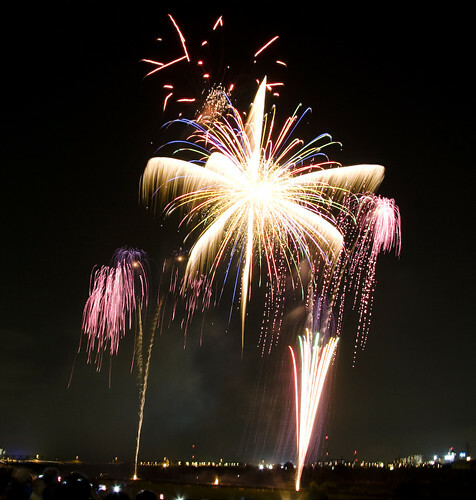 Chatsworth – Enjoy a large firework display, bonfire in the garden and lots of live entertainment. 3rd & 4th November, Adults £12, Children £8. Check out some of our holiday cottages near by and make a break of it. Lewes Bonfire Night – with processions and many bonfires at different sites around the town, Lewes looks to be putting on a spectacular evening on 5th November. Ticket prices vary. There is also a mobile phone app you can download here. Here are some holiday cottages nearby too! The Station Inn, Oxenholme near Kendal – Wrap up warm for the firework display, bonfire and burgers and pies from 6pm, 2nd November. 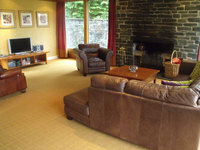 There are also lots of Lake District holiday cottages to choose from! Kendal Castle firework display – 7.30pm, 5th November. No charge for this one, but all donations go towards hosting next year’s event! Leeds Roundhay Park – enjoy a huge bonfire with 70,000 other visitors, 7.30pm, 5th November, free admission. Museum of East Anglican Life – enjoy a bonfire, firework display and refreshments, all alongside the sights and smells of traction engines in steam. Family ticket £12 or Adults £4.50 and children £3.50 available from the Tourist Information Centre in Stowmarket. 6.30pm, 3rd November. You are currently browsing the archives for the Lake District category.